We didn’t mean to. We just got so busy, and time goes by so fast. The twins had their first birthday while both Hetal and I were at work. Jin got to see the whole thing, and Hetal and I missed it. I didn’t want to miss anything about parenthood! I felt so bad. 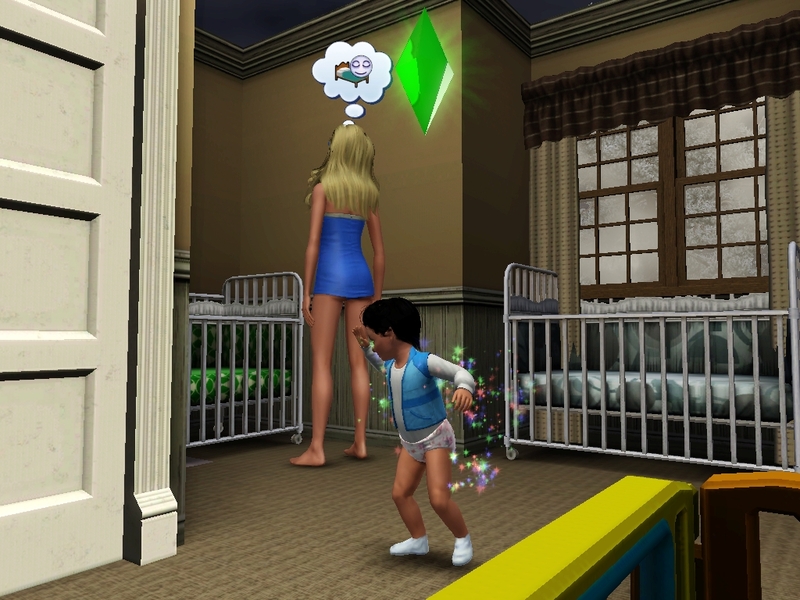 Now there were three toddlers in the house. Three! We had to get a playpen to corral them all. Branden really got into the abacus toy. I bet he’ll be a rocket scientist when he grows up. Or an accountant! 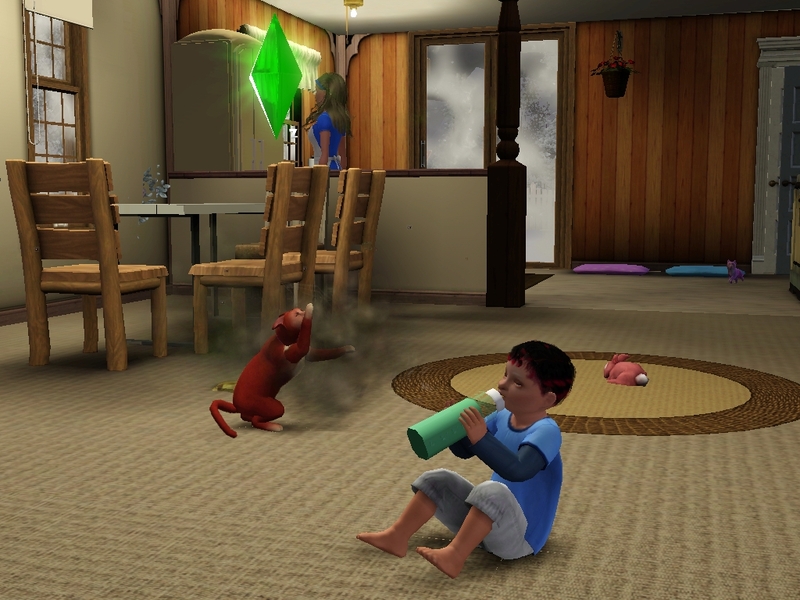 Life started to settle in with three toddlers and a kitten. Sometimes it was hard to find time to feed, and nobody did much cleaning. Little kids are so playful and sweet. When they’re not screaming their heads off. I tried to keep up my role as mentor. Hetal tried to be sure that I didn’t forget that I was also a woman. Dinah and Cheshire also took some time away from their parental responsibilities. Branden’s birthday was coming up fast, and I sure didn’t want to make the same mistake with him. Branden’s such a sweet kid. He’s almost never been much trouble,and he’s so gentle, even with his toys. 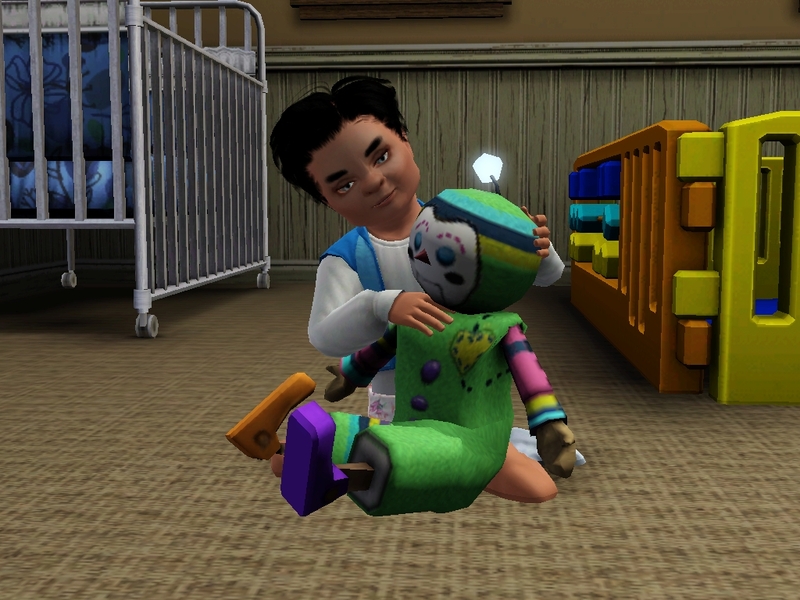 Watching him sing lullabies to his favorite doll is just too good to be real. We made sure that we circled the date on the calendar and made time for a celebration. We bought him a nice cake. 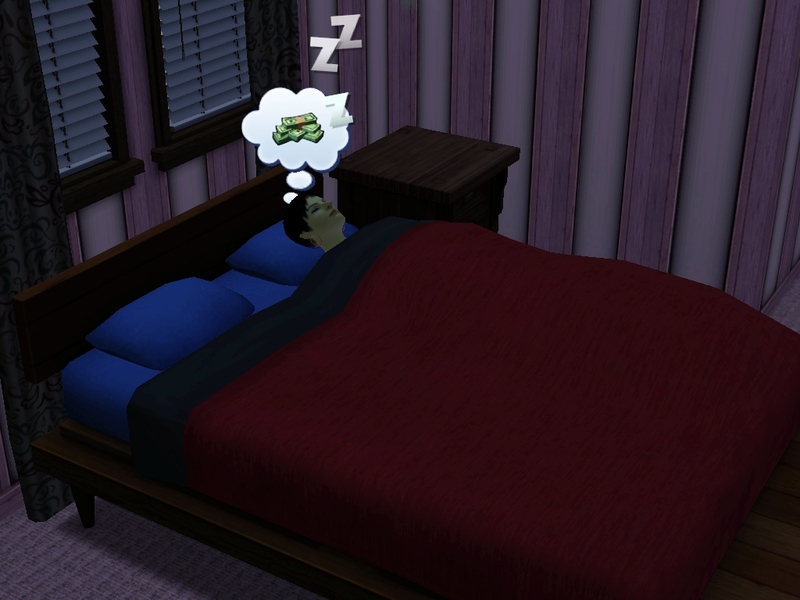 Hetal was in bed after a long day of work, and Jin was taking a quick nap. I figured I’d go get Branden, and then we’d wake up the sleepyheads. Then I went up to get him at the big moment, and I guess I just spaced out a little. When I turned around, Branden grown up without me! It’s not fair. But, sigh, oh well. 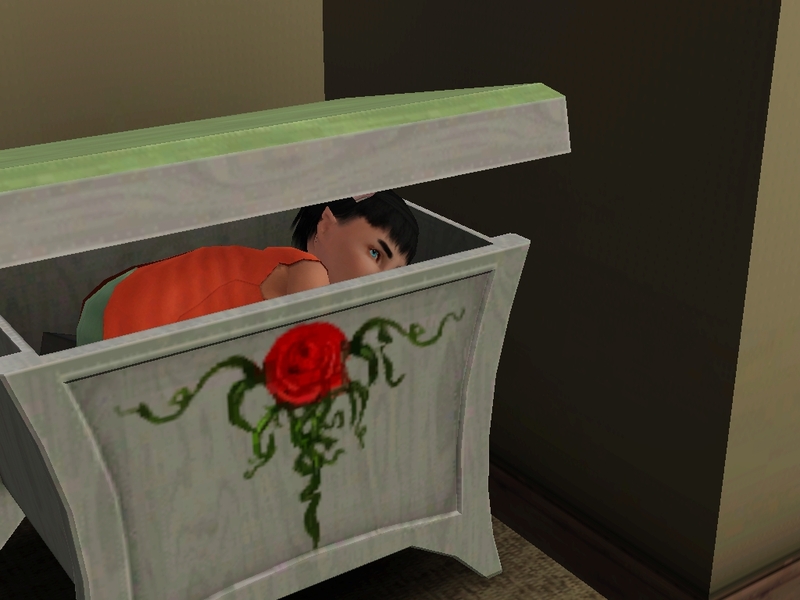 I was really tired, so I left him in his bedroom and went to bed. Now what are we going to do with all that cake?? So, here’s where went control freak and had to teach myself to calm the heck down. 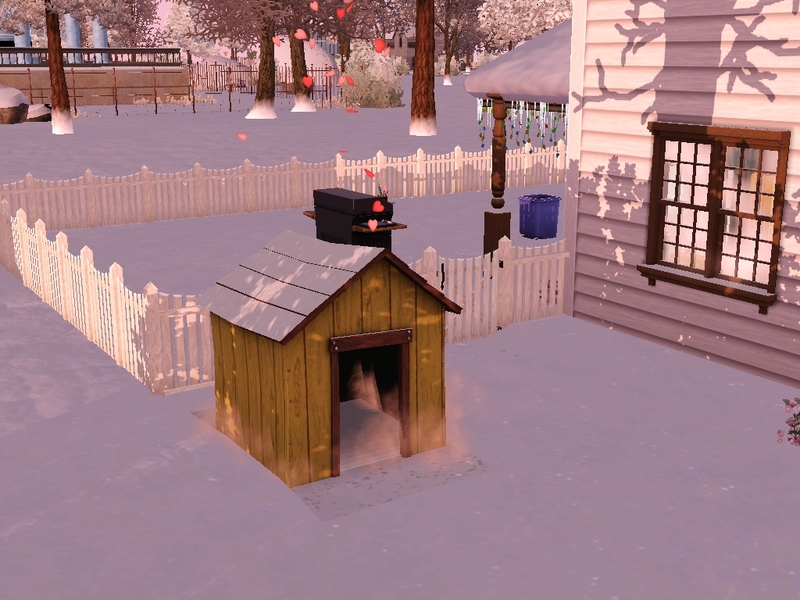 I kept the whole family home for the winter holiday (forgot what it’s called) because I was SO CLOSE to getting Branden skilled. But he was falling-over exhausted by the time he was halfway through potty training, so I had to put him down for a nap. 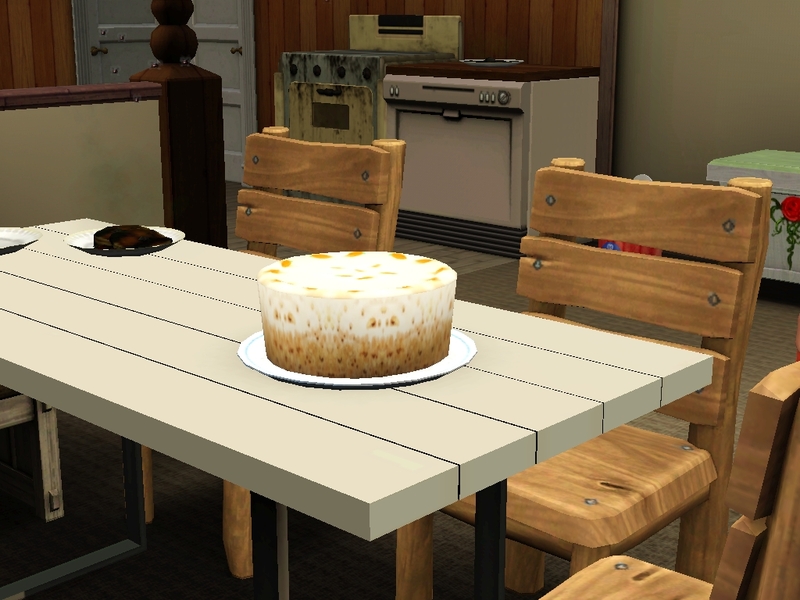 Then I bought the cake to at least give him a nice age-up (those custom cake recolors I found are nifty), but both Hetal and Jin had already gone to bed. So in a dark house, I kept Allison awake to be there for his birthday. I clicked the cake. She went to get him. And when she picked him up out of the crib, she put him down again, and he aged up on the floor while she was looking at the wall. And for all that, he got the trait of Ambitious. Hard, hard lessons in ISBIs. 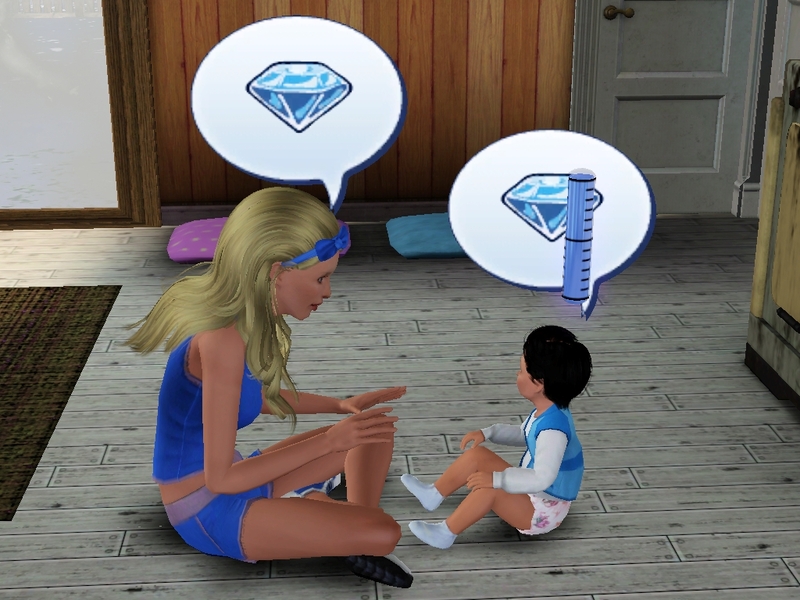 Just don’t expect to give a kid all their toddler skills. In good news, both Caitlin and Christof look more promising than Branden. 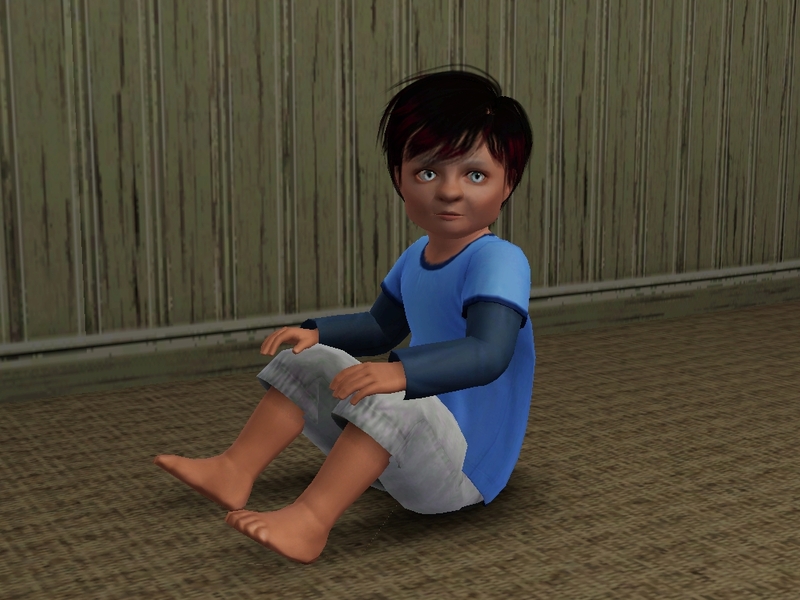 As toddlers, I’d say I like Christof’s face best. Caitlin has Hetal’s hair and Allison’s eyes. Christof has Jin’s hair (which has red tips) and Hetal’s eyes. I rewarded myself for surviving the first month at my new job with Aurora Falls, and I bought the gold version for the playpen and walker. It’s a good way to get to do something different with toddlers at least, and they might even get skills. I haven’t actually played in the town yet, but I think the Wonderlands may move there in another generation. I still want to know where those eyebrows come from! Both Branden and Caitlin get the crazy eyebrows and Christof gets none? I'm not sure why I'm so fascinated by that, but I am. Poor Allison missing all of the birthdays! It is pretty funny that she's just standing there staring at the wall. Usually they eventually turn around to celebrate! Branden is still very interesting looking. The playpen looks very handy, especially with so many toddlers in the house! Those eyebrows are a great mystery. I'm going to have to wait until they get older and see if anything starts to look like one of their family. I think Branden looks somewhat less creepy as a child. I'll have to see how he grows into that face. Allison has the delicate almost penciled-in eyebrows, and Christof got those. Well, Caitlin is kind of sweet 🙂 Christof still looks a little scary,though. And Branden as a kid… oh my! Nice to see the kids grow up – it happens so fast! 🙁 Before we know it, they will all be teens.. I like Christof. He looks frighteningly old and wise for a toddler, like he sees into your soul. Of course, he's the only one of them who isn't a witch, and I don't think he has pointed ears either. Ahh… those are Allison's eyebrows that Christof got! Branden is going to have a really hard time convincing anyone that he's a *good* witch. I'm in agreement with you about the kids. 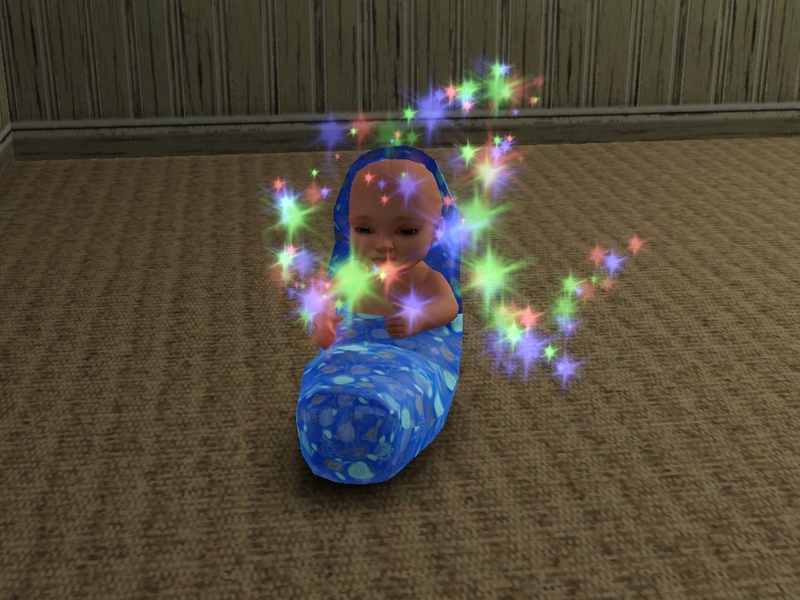 Christoff seems to have the most promising genetics. 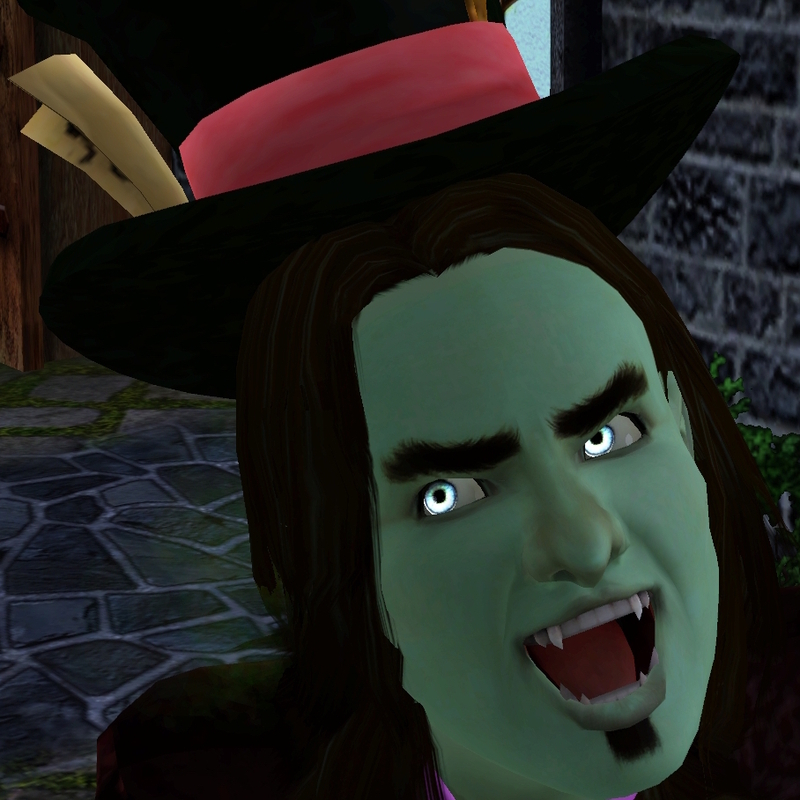 Having said that, I can't get enough of Branden's eye shape … those uplifted eyebrows look so funny on a good sim! He always looks like he's plotting nefarious deeds. Maybe against his evil mother Hetal? 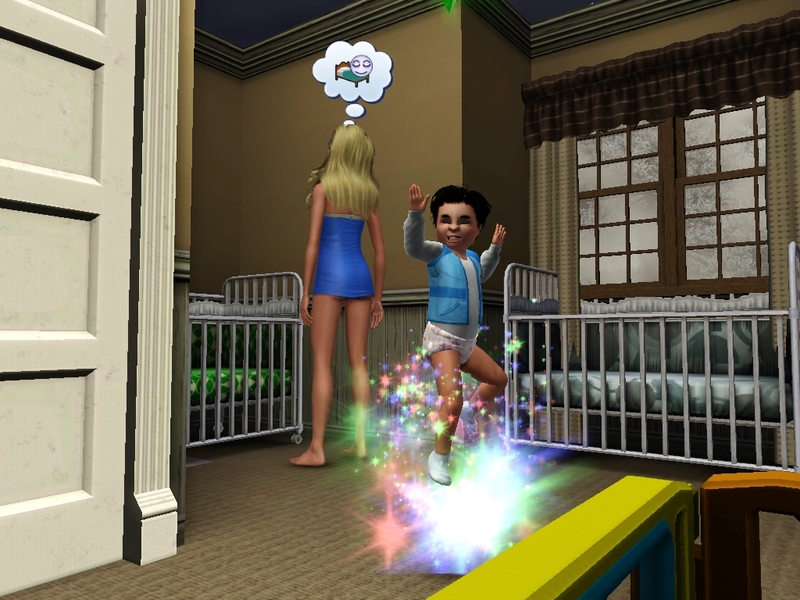 I did the same and bought Aurora Skies because of the toddler content. 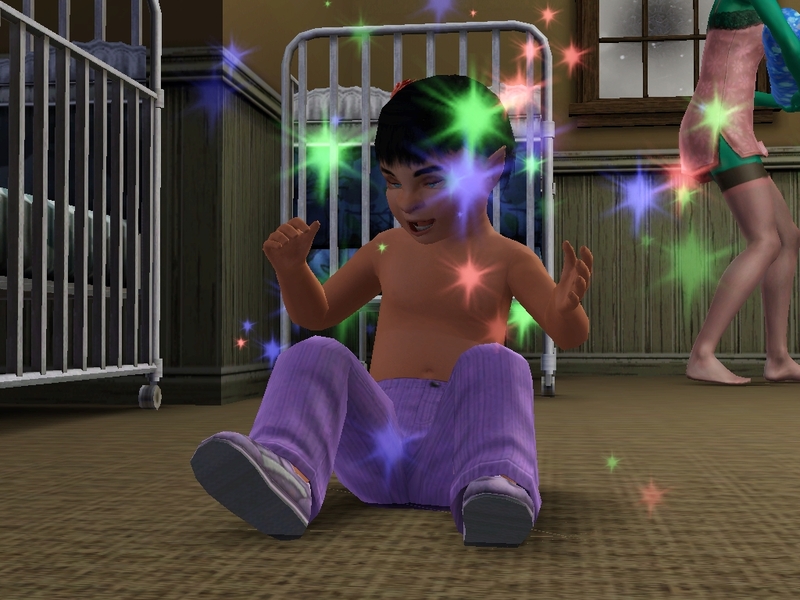 The ability for toddlers to skill themselves was too much for me to resist!! I'm still being biased and keeping Branden for my fave. 😛 Although the twins are sweet. 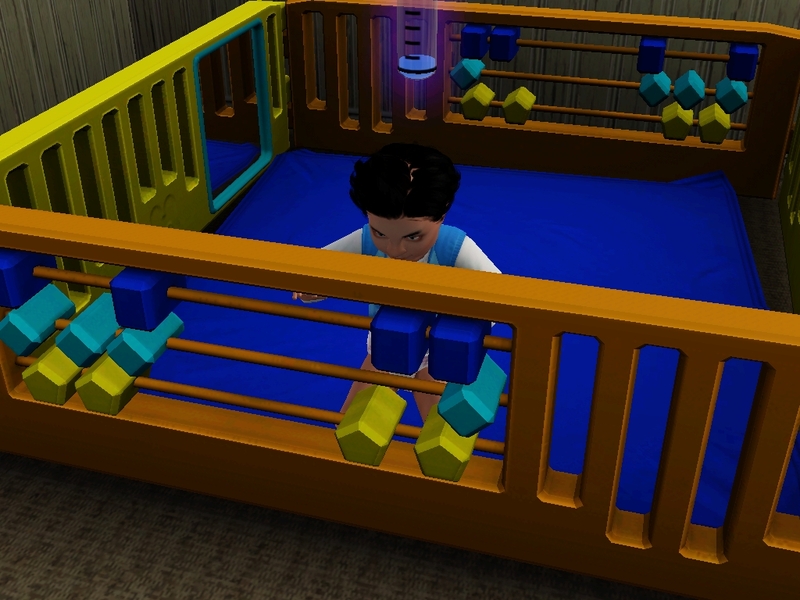 You got the playpen, cool! I think that and the walker will be godsends for over-worked ISBI torch holders everywhere. More kittens, yay! 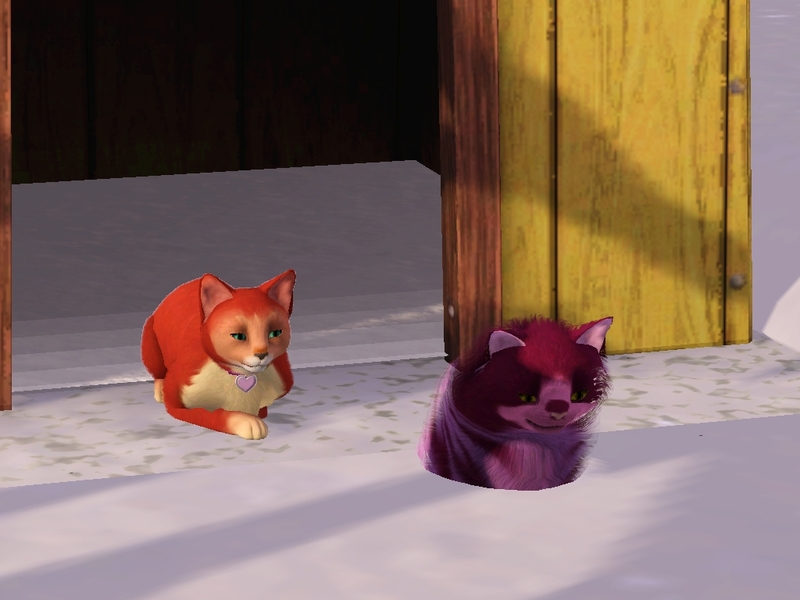 Do your mods let pets do random pregnancies or do you just want more adorablz kittens? Love the pointy ears on the kiddies! 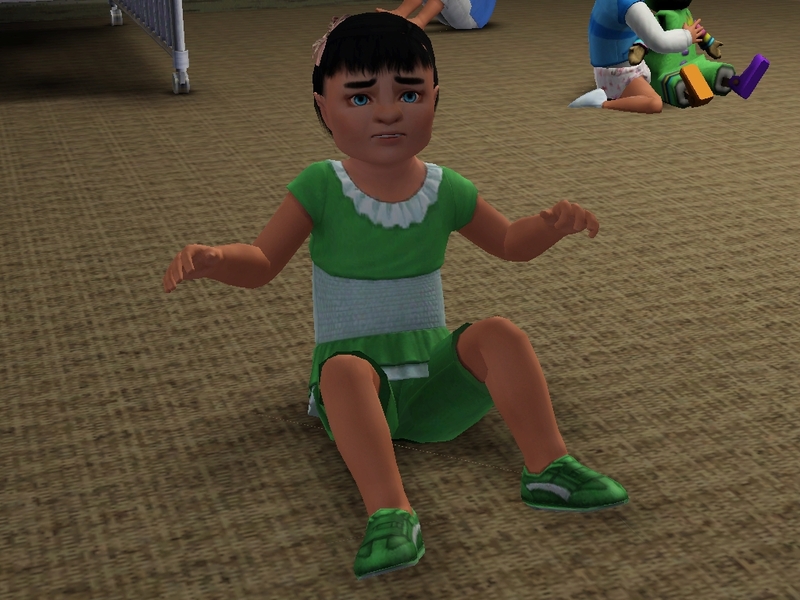 They are one of my favourite genetic features in TS3, have to use them more often.